How Can Local Search Help You? 30 percent of all queries contain a city, state or zip code. With 2.6 billion local searches performed each month, the Internet has now surpassed print Yellow Pages and newspaper as a primary source for local consumer service information. And the adoption of smart phones will only add to these numbers; 27 percent of all mobile searches are for local information. As more people are abandon the standard Yellow Pages, local SEO (Search Engine Optimization) has been gaining in popularity. Many local businesses have adopted Internet marketing as their main advertising channel. Standard search engine optimization (SEO) is composed of a number of techniques that are designed to help websites land to page1 of the search engine results pages. This tactic helps to increase local visibility by driving more traffic and more customers to your company’s service or product. Local companies can also take advantage of small business marketing channels available on the major search engines, such as Google Maps. Local businesses, such as contractors, restaurants and lawyers, can be displayed on these online maps that often rank ahead of the organic listings on the search pages. These local listing services have become online versions of the Yellow Pages that are exponentially more powerful. This is because the listing will contain vital information regarding the business, including contact data. 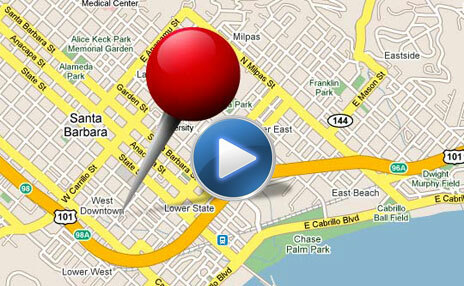 Therefore, it’s essential for local businesses to optimize and rank well these local business listings. Did you know that 30% of all Internet searches include a city or local term. Even if the person searching doesn't include their location, the Search Engines know where that individual is located, and serve results based on their position. That means for nearly every search, local search friendly businesses will be listed at the top of the search engine results pages. So, no matter what your business does, you now have the opportunity to rank at the top of the search engine pages in your local region. At Searchtech Marketing, we feel that your company should be showing up in those results too. If nobody can find your business, they can’t buy from you, so get found today. Currently there are over 25 Billion videos viewed per month in the U.S. alone. This is one of the most profound shifts in media distribution and advertising in the history of the Internet and your company can be ahead of the curve. Imagine if you had the budget to run commercials 24 hours a day, 7 days a week. Your company would dominate the market. We're going to show you how all this is possible on a budget, and give your company more Internet visibility to your customers than ever before. Learn more. Share be a pal and share this would ya?